In a relief to ad-hoc judges who were battling with the Madras High court claiming retiral benefits, the Supreme Court has held that they are entitled to it and directed it to be computed and paid to them within a period of two months. 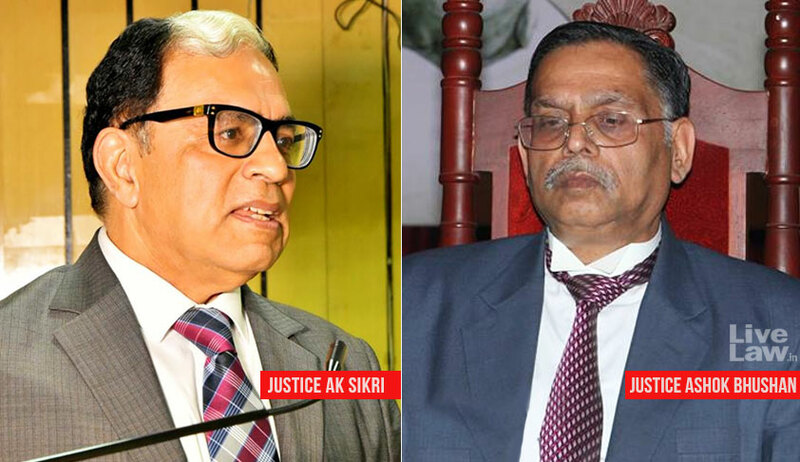 The bench of Justice AK Sikri and Justice Ashok Bhushan also observed that mere fact that the advertisement as well as the appointment was made initially for a period of five years, the nature of appointment of cannot be termed as contractual appointment. The Fast Track Courts created under Eleventh Finance Commission cannot be said to have been created in a 'pensionable establishment'. Rule 11 of 1978 Rules, which provides for commencement of qualifying service does not cover appointment on contractual basis. The appointments of appellants were appointments on contract basis, hence they are not covered by Rule 11 of 1978 Rules. Division Bench of High court in its judgment dated 20.07.2012 rendered in Writ Petition No.13703¬13705 of 2012 treated the appointment of appellants as contractual appointment. The bench in an elaborate discussion on the basis of materials on record, and also disagreeing with reasons cited by the High court observed that their appointment was in pensionable department. The judgment of the High Court dated 01.04.2015 is set aside and the Civil Appeals filed by the appellants are allowed. The respondents are directed to sanction compensation pension to the appellants, namely, Selvi G. Savithri, R. Radha and A.S. Hassina. The respondents are also directed to permit encashment of earned leave to the credit of the appellants subject to a maximum of 240 days. All above retiral benefits be computed and paid to the appellants within a period of two months from today. In the event payments are made after two months, the appellants shall be entitled for such payments alongwith the simple interest @ 7% per annum.